Ischemic central nervous system (CNS) events during neurosurgery are potentially devastating events for patients. Currently, anesthetic management or neuroresuscitation after such injury is limited to the acute management of physiologic variables to ensure oxygenation, ventilation, and perfusion while also maintaining cerebral autoregulation. The term neuroprotection is often used interchangeably with neuroresuscitation, but is perhaps more aptly used to mean treatment prior to an ischemic CNS insult. Pathways and potential mechanisms for resuscitation after, and protection before a CNS ischemic event, have considerable overlap. However, in the near future, true neuroprotection may include delivery of prophylactic drugs, gene delivery, or other cellular manipulations prior to injury. 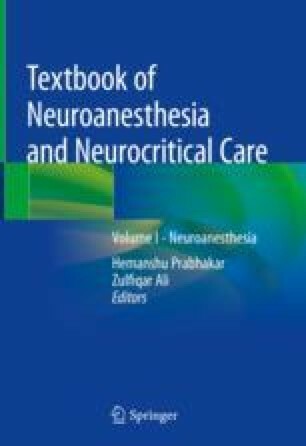 This chapter focuses on advances in the field of gene therapy for neuroanesthesia. Potential targets for such neuroprotective therapy as well as the benefits and risks of gene delivery by viral and nonviral vectors are discussed.